[Terrific example of what one person can do. Many people are brought into the fray in the manner that Mercy was here, when it hits squarely at home. The fact is everything going on is hitting all of us squarely at home, our entire planet and it's inhabitants are slowly being restricted, contained and exterminated unless we take action in whatever way we can. A conscious population will do the right things, but they need to see it for what it truly is. 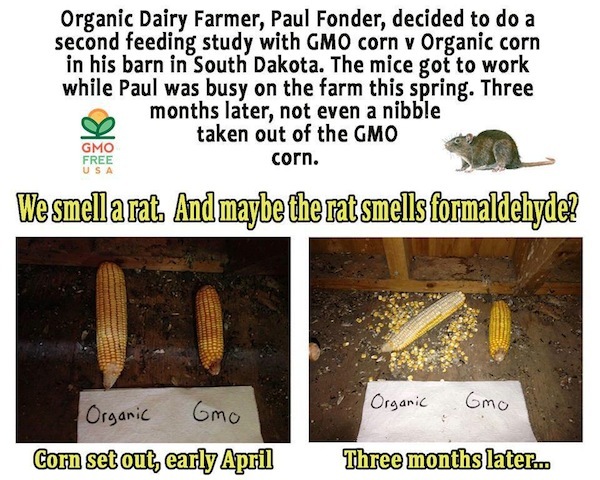 Mercy and her family live downwind from Monsanto’s fields. After a dust storm her son falls ill. This sets Mercy on a search to understand why these GMO test crops are being planted on her island. Are the chemicals being used safe? Who are these biotech/ag companies and what are their practices? Mercy travels to Oahu and Kauai where she learns that she is not alone. Others across Hawaii and the world share her concerns and her vision for solutions. MILAN (Reuters) – Three Italian ministries have signed a decree banning the cultivation of a type of genetically modified maize, citing environmental concerns, the agriculture ministry said on Friday.The decree, which still needs to be published in the official gazette to become binding, targets Monsanto’s MON810 maize, one of two genetically modified organisms (GMO) allowed in Europe and the only one currently grown commercially. The ban was also signed off by the health and environment ministries, with the agriculture ministry citing the crop’s “negative impact on biodiversity”. “Our agriculture is based on biodiversity, on quality, and those we must continue to aim for, without games that even from an economic point of view would not make us competitive,” the ministry said. “The Commission will look into the Italian safeguard measure in more detail, and we have already asked the European Food Safety Authority (EFSA) to assess the scientific basis for the decision,” said Frederic Vincent, the Commission’s health spokesman. EFSA is the EU’s food safety watchdog. I've heard that "NO ONE" will be able to mess with the food on this planet.....period! 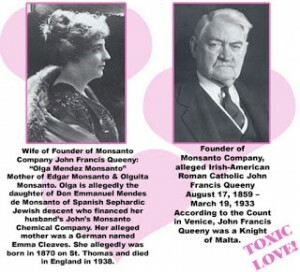 toxiclove1920s: Monsanto expands into industrial chemicals and drugs, becoming the world’s largest maker of aspirin, acetylsalicyclic acid, (toxic of course). This is also the time when things began to go horribly wrong for the planet in a hurry with the introduction of their polychlorinated biphenyls (PCBs). 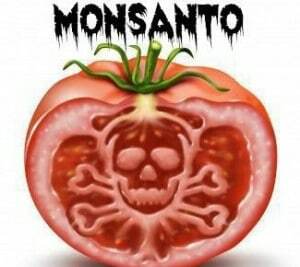 American-Milk-Banned-in-EuropeIn 1994, the FDA once again criminally approves Monsanto’s latest monstrosity, the Synthetic Bovine Growth Hormone (rBGH), produced from a genetically modified E. coli bacteria, despite obvious outrage from the scientific community of its dangers. Of course, Monsanto claims that diseased pus milk, full of antibiotics and hormones is not only safe, but actually good for you! We need to get rid of this evil corporation!!!!!!! !